For the last few weeks I've been frantically checking the Boots website, eagerly awaiting their Christmas range. It's always super exciting to get my hands on their Christmas catalogue, and spend a lazy hour or two circling the things I hope to see under my tree (blimey, it is a bit early for all this stuff isn't it!). I was obsessed with the Jack Wills Hope Cove fragrance a few years ago, and this year I'm going to make a point of picking up the Body Spray Trio (£10). I love body sprays and these should be really nice to spritz on for lazy days and times when I don't want a heavy perfume. I always love the look of the hand wash/cream duos as I think they look so pretty by the sink, and I really rate the minimalist look of the French Connection Twice as Handy set (£10). MAJOR snaps for the name too!. Finally on the body front is the deliciously festive sounding Spiced Apple Body Butter (£4), which would make a really affordable stocking-filler and even comes housed in a bauble! Boots always have some really lovely bits for the kitchen, and my heart skipped a beat when I saw this Laura Ashley Rolling Pin (£16). Yes, you read that right, a rolling pin. It does look really beautiful with it's blue floral detailing and would make a really great investment if you're looking to start a home. The final two items have a bit of a cutesy pastel theme. There's nothing quite as cool as a unicorn, and I completely fell for this Aroma Home Plush Unicorn Hottie (£14). This is just what you need on chilly winter days, and I know this little guy would look adorable sat on my pastel bed covers. I also really loved the look of these NPW Hair Ties (£5). I tried similar ones to these from Urban Outfitters and I just found them so comfortable in the hair, especially if you tie your hair up for bed, and they look really cute too. I hope you've enjoyed my Boots Christmas wishlist/gift guide. I apologise if it's a little early, I was just so damn excited! You don't need to know me well to know that I'm candle obsessed, and I'm all for trying new scents. 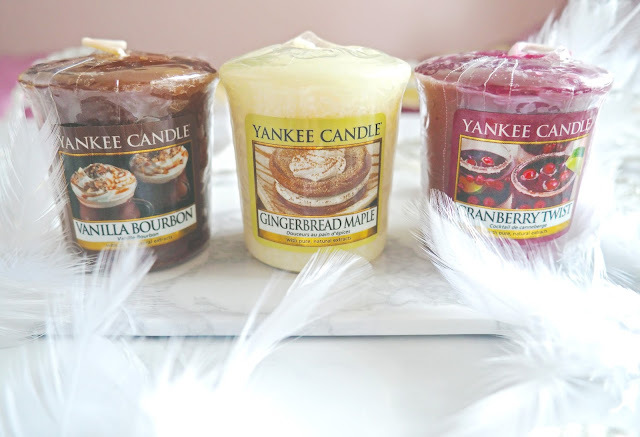 Yankee Candle's latest drop is Sweet Treats, a limited edition release to coincide with the Out of Africa Collection (which I have reviewed here). For Q3 (Quarter 3), we see a more autumnal vibe than Out of Africa, which was definitely more summery. Sweet Treats centres around gourmand fragrances; deep, rich and comforting. Cranberry Twist is the lightest, and fruitiest of the bunch, moving onto richer Vanilla Bourbon, laced with notes of sweet liquor, and then finally we have the indulgent Gingerbread Maple. 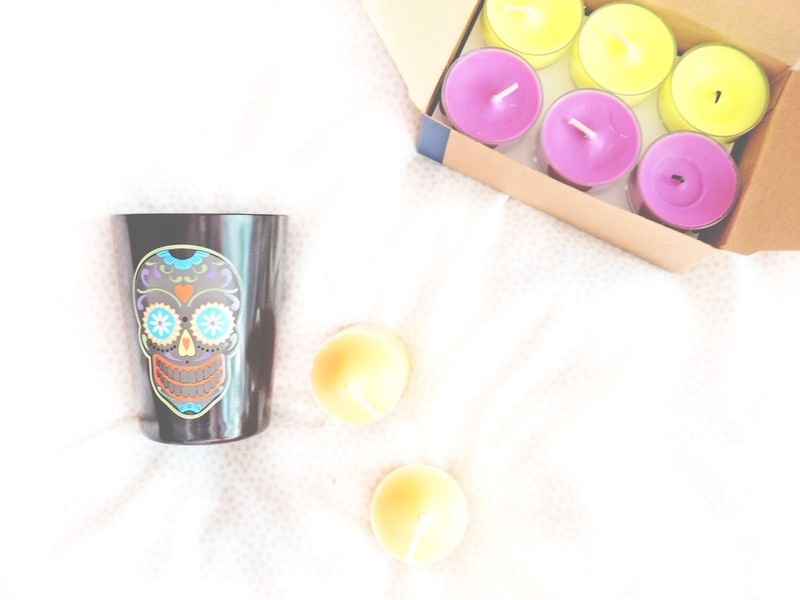 I chose to test out the scents in votive form, as I've been loving the ambiance of a lit candle, and they are still super affordable at £1.80 a pop. There is nothing that can make you more self conscious than a blemish on your face. They are majorly caused by stress or oil-clogged pores. You wake up in the morning only to find a sore pimple on your face. That is when you know it is not going to be a good day. Everyone you meet, the first thing they will be seeing is the little flaw on your face. But that does not have to be case. There are many ways to conceal those annoying flaws. Acne scars or pigmentation spots don’t have to make you less beautiful than you actually are. It doesn't have to be a bad day. Try the following routine and you will be sure to conceal the blemishes. 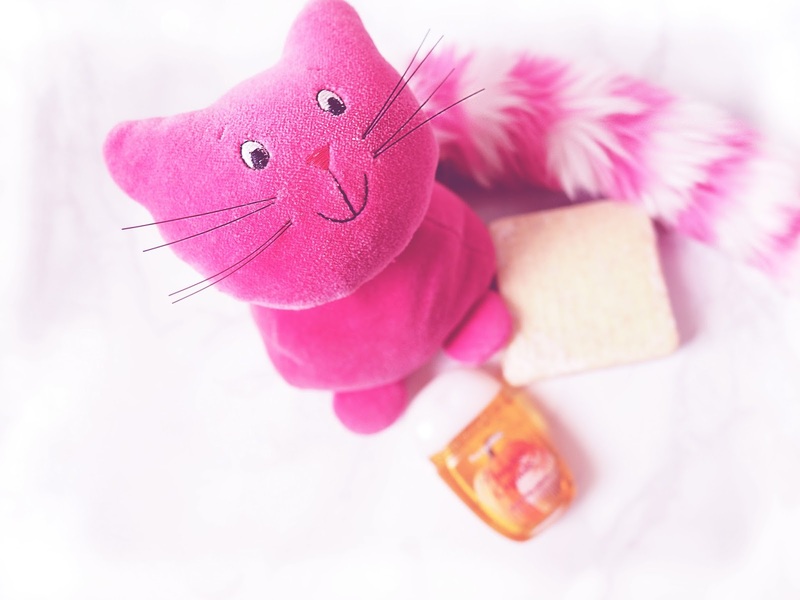 1) Wash your face with the facial cleanser that you normally use. Ensure to use lukewarm water. Once the face is clean, pat dry with a clean towel. If you are dealing with acne, now is the right time to apply any medication you might be using. 2) Ensure you have a foundation, concealer and face powder to match your skin tone to avoid drawing more attention to the blemish. Base products should match your complexion, not lighter or darker. 3) Ensure you are not allergic to any of the products. You can apply the concealer and powder on a hidden spot like the neck to test for any reaction. This will help in case you are allergic and it reacts. Your face won’t be affected, adding more salt to the injury. 4) Apply foundation and concealer on your face using a makeup sponge or brush. Using fingers is not recommended as this may be used as a road to transfer germs or oil, leading to more breakouts. 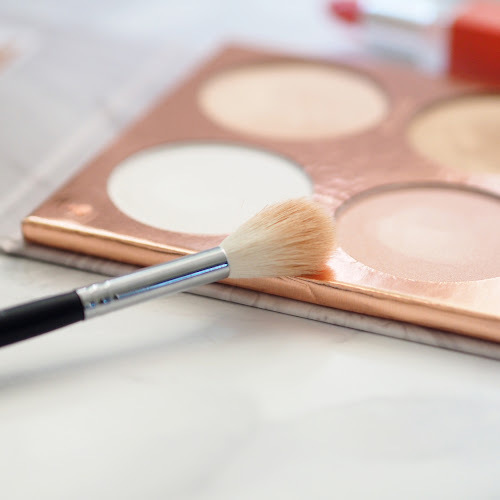 Apply the concealer on each and every blemish, then blend it with a sponge or brush. Leave it for a while to dry out. 5) Gently dab the normal foundation you use on your face. Dabbing ensures you don’t disturb the concealer. After application, check to see if the blemishes can be still seen. If yes, you may need to dab some more foundation on the flaw. Blend it in very carefully, and ensure to fan the edges out to avoid leaving any separation lines. 6) After ensuring the blemishes cannot be seen, apply the face powder. It will tone down any shine from the foundation and at the same time set the makeup, making it less likely to smear or fade. It also evens out your skin tone making your face stunningly beautiful. An oil-free powder is highly recommended for this. 1) The brushes you use in every step should be clean to avoid transfer of oils and germs that might lead to more breakouts or blemishes. Clean the brushes after you finish applying the makeup and keep them in a clean place to be used next time. 2) Put an end to usage of any product that might cause irritation or lead to new blemishes/ rashes. It might show you are allergic to them and there is no need to make the condition worse. 3) Having makeup on when you are asleep should be avoided. It causes your pores to be clogged and thus no oxygen is seeping into your skin. The result will be more breakouts, which is exactly what you are trying to avoid. Another thing is it will make your sheets dirtier. Cleanse your face before retiring to bed. 4) Salicylic acid found in most concealers help heal acne scars. Thus, after using for a certain amount of time, you will actually heal the blemishes and won’t require using the concealer again. Isn't that amazing? 5) Watch: What are Acne Scars and How to Treat Them Effectively? 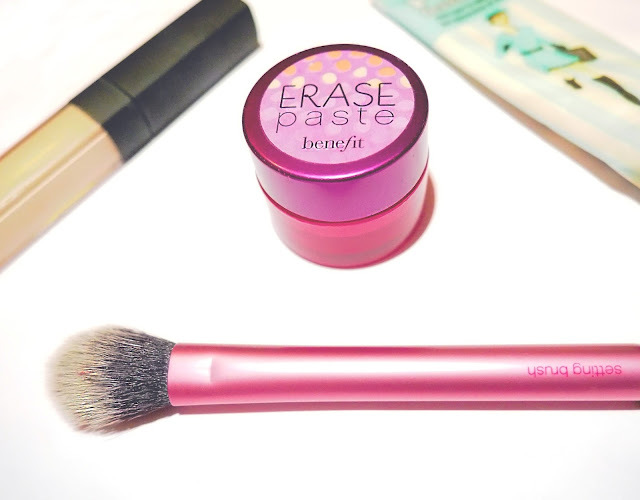 Concealing blemishes is an easy task. It helps you feel more confident about your appearance. If your blemish is just a small spot, you can use a brown or black eye pencil to fill it in and make it look like a beauty mark. We won’t tell you are hiding a pimple. 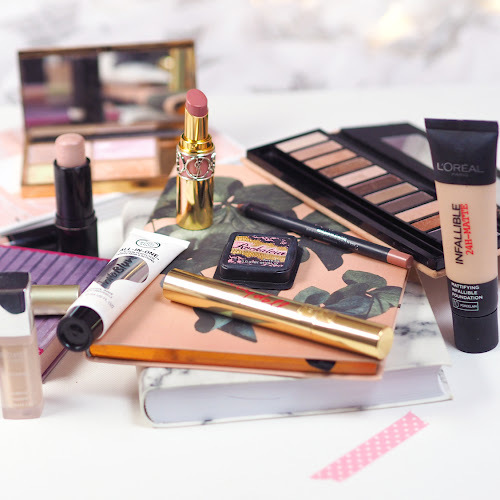 Invest in a quality makeup kit as the low quality ones might be doing you more damage than good. After all is said and done, don’t forget to enjoy your day. Written by Ella James. All images by Kirstie Melville. Ella James is an aspiring author who is pursuing a degree in Health Services Administration from St. Petersburg College. She likes reading and writing about health, fitness and lifestyle news, and contributes regularly to Consumer Health Digest, a leading health news site. Make sure you follow Ella on Twitter and Facebook to stay connected! The last instalment of The Manicure Menu was the Summer Edition by the fabulous Puja from BerryBloomXO, so it's been a flipping long time since you've heard from me in the nail department. It's getting a bit more autumny now, so lately I've been calling on some more subdued hues and leaving behind the poolside summer brights. I've been trying to paint my nails more often, and I even tried falsies, who'd have thought? PartyLite is a home fragrance brand which trades via direct selling. This is very similar to the Avon concept, so you will have a representative, or consultant in your area. The links I've featured below link to my local consultant's store, but if you want you can enter your postcode here to find one more local to you. You might have noticed that the nights have been drawing in and the cooler weather is looming. There is one final hurdle before we can mention 'The Big C', and that is Halloween. This year, instead of focuising on ghouls and ghosts, PartyLite have been inspired by The Day of the Dead for their Halloween collection. The Day of the Dead, or Dia de Muertos, is a Mexican holiday to celebrate the lives of the deceased. Mexicans flock to cemeteries and build lavish private altars. One of the most recognisable symbols of the Day of the Dead is the skull. Masks or facepaint, known as calaveras (slang for skeleton), are worn and chocolate or sugar skulls are eaten. The Day of the Dead is a super fun theme if you want something a little different for your Halloween party, and what better way to decorate your home than with atmospheric candles. 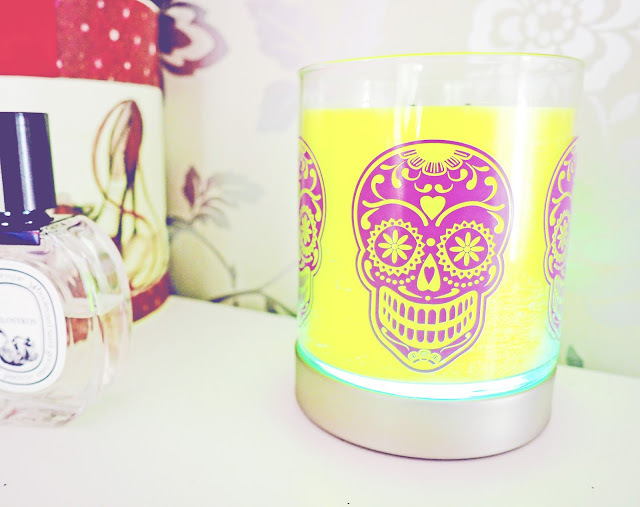 The most eye-catching of the range has to be the GloLite Hocus Pocus Scented Jar Candle* (£21.50). This is a 2-wick jar candle and has a burn time of 50-60 hours. Hocus Pocus is a spellbinding scent of citrus, florals, coconut and praline, which is definitely unexpected on the nose. 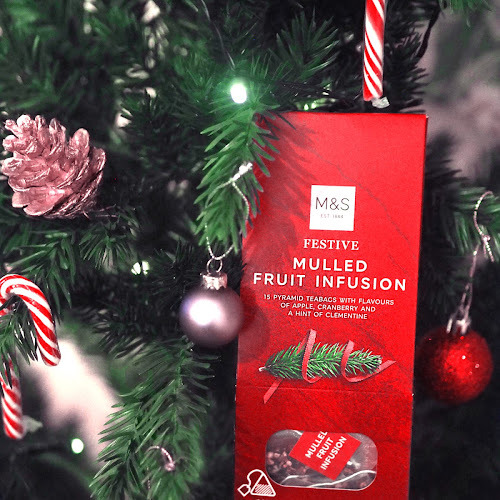 It is sweet, zingy and rich all at the same time, and has a touch of Thierry Mugler's Angel about it. The jar is advertised at being 'the world's brightest candle', referring to the luminous ghoul green wax, which I love. The design is really fun and I could image it being perfect in the summer for a Mexican themed night with margaritas. The GloLite Hocus Pocus Candle really comes into its own when used in conjunction with the Colour Changing Candle Base* (£9.95). You sit the candle on top, and turn the base on to emit a glow of red, blue, yellow and green throughout the candle. This works so well on the fluorescent green wax of Hocus Pocus, and I've been known to use it for a bit of ambiance even when I haven't lit the candle. The lovely Hocus Pocus scent is also available in a pack of 12 Universal Tealights* (£6.95). Burning for a whopping 4-6 hours, I like to dot these in my bathroom when I have a bath. I love that there are two colours in the pack, which make them so much more fun than boring white, and the plastic casings feel more sturdy than the typical metal that tealights usually have. 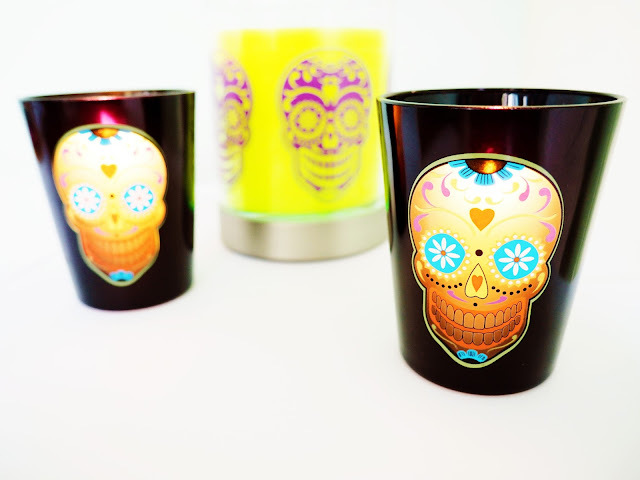 Tealights will need to be used in holder for safety, and PartyLite have co-ordinated their Skeleton Dance Votive Pair* (£19.95) to match the Day of the Dead theme. These quality black holders are adorned with coloured skulls. This is painted onto the glass, which means that the light really shines through them to create a colourful glow. These are a lot of fun, but I do find the skulls a bit creepy in the dark! To use with the same holders are the Autumn Glow Votives* (£6 for 6). 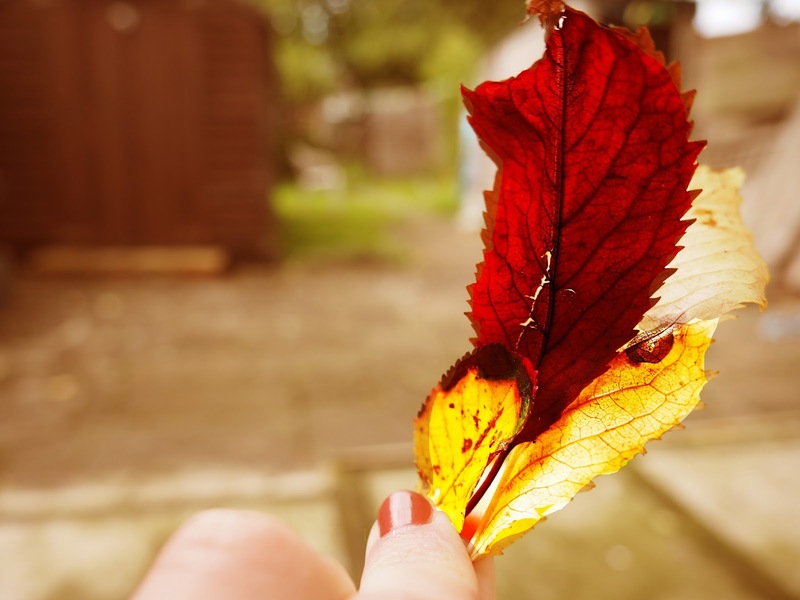 Autumn Glow is described as "Sparkles with freshness of a glowing autumn day. Spiced apples and pine create a warm harvest welcome". When I saw pine, I was worried, as I think pine scents smell like toilet cleaner, however I was pleasantly surprised. Autumn Glow smells like autumn encapsulated. Spicy with cinnamon, a touch woody with a dash of pumpkin, this scent is perfect for this time of year! Overall I've been really impressed with the products I have tried from PartyLite. They have a quality feel and the scents really differentiate from the norm. I really like the style of the natural cardboard packaging as it is very minimalistic and really lets the products themselves shine. Browsing through PartyLite's other collections, I particularly like the look of the Market Fresh range, which again are particularly autumnal. 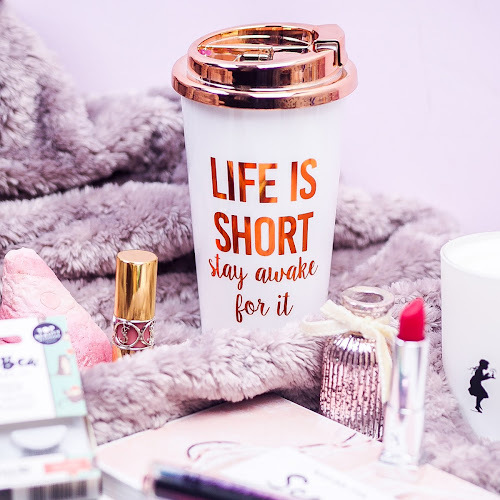 The lovely people at PartyLite have been kind enough to give one of my readers the chance to try out all the products featured in this post. A pair of Skeleton Dance Votive Holders. The giveaway will be open for two weeks and will end on Monday 5th October 2015 at midnight. The winner will be picked at random by Rafflecopter and will be contacted on the 6th October (my birthday, yay!) so I can pass their details over to PartyLite, who will arrange shipping of the prize. In line with competition guidelines, if the winner has not responded within 30 days, a new winner will be chosen via Rafflecopter. 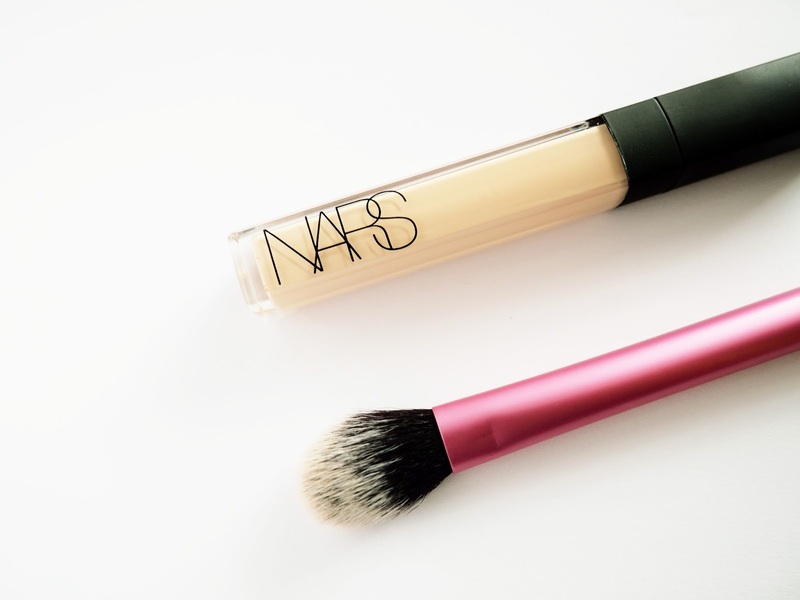 The Nars Radiant Creamy Concealer (£22) is one that gets a lot of airtime in the blogosphere. Easily the most hyped-up and talked about high-end concealer, this seems to feature in just about everyone's make up kit. If someone is using a concealer in a tutorial, 90% of the time it is this. I have a real problem with hyped products. I usually have unrealistic expectations and end up disappointed more often than not. However after running out of drugstore concealers to try, and having some N.dulge points under my belt, I finally placed my order. Rêve Hyalu is an organic Italian skincare brand set to hit UK department stores this autumn. The brand, which specialises in hyaluronic acid-enriched formulas, is already available in the US via Sephora and Amazon. If it's got the Sephora seal of approval, it's good enough for me. Details of the launch are being kept hush-hush for the time being, but you can exclusively get your hands on the products direct from Adishakti Trading, even before they launch in stores. For the past few weeks, I've been trialling two products from the brand, the MP710 Purifying Mask* and the CP510 Purifying Mattifying Cream*. Rêve Hyalu, which launched in 2013, holds hyaluronic acid at the very core of the product line. A bit of a buzzword at the moment in the world of skincare, Hyaluronic acid is naturally found in human connective tissue, and acts to retain shape and elasticity of the skin. As we get older, our internal hyaluronic acid production centre slows, so the skin gradually gets weaker, more dehydrated and exhibits classic signs of ageing such as wrinkling. Hyaluronic acid does a really awesome job of plumping up the skin, making it more hydrated and looking and feeling healthier. Rêve Hyalu prides its products on being free of parabens, SLS and animal by-products. Their range is also fiercley dermatologically tested and is formulated to be kind on even the most sensitive of skins. Both of the products I tried were particularly heavy on ingredients with soothing properties, and this just shows the amount of thought that goes into the formulations. Being the product of many years of research, all the ingredients have a specific purpose, maximising the effectiveness of your skincare. I picked out products from the range that I thought would best benefit my skin. As a girl with oily skin, I seem to make a beeline for anything that promises to clear my pesky pores. For this reason I've actually lost count of the number of purifying masks I have in my stash. Does that stop me from having the desire to try every new mask that comes on the market? Sure as hell it doesn't! The MP710 Purifying Mask (£19.50) is a kaolin/white clay mask. Kaolin is a mineral compound which is particularly active in exchanging substances with the tissues it comes into contact with, which is why it is so good at purifying the skin. It has the ability to simultaneously absorb toxins, remove dead skin cells, purify pores and prevent blackhead formation. Kaolin also has soothing qualities. Another ingredient that is particularly soothing is calmine is calamine, or pink clay again favours substance exchange, so is great for congested skin. Being just a clay mask clearly isn't enough for the MP710. It contains papaya extract, which is a source of fruit enzymes or AHAs. 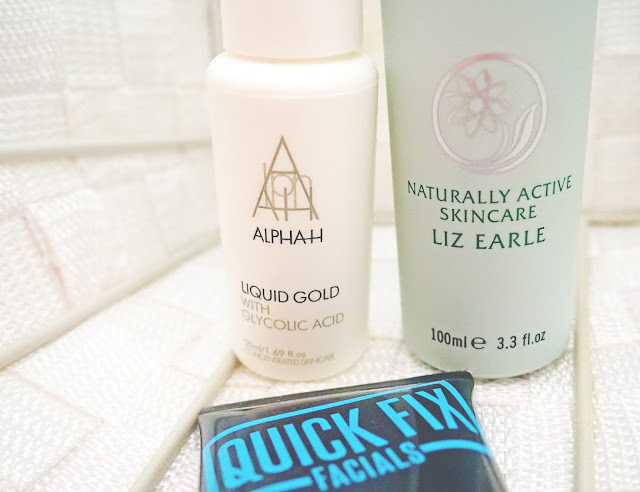 An ingredient that has had quite a lot of hype over the past few months, these AHAs are a great gentle chemical exfoliator, and are also really rejuvenating for the skin too, leaving a smooth and bright canvas. Amongst the more moisturising ingredients are sweet almond oil and propolis, which provide nourishment to dull, dry skin. The Rêve Hyalu Purifying Mask left my skin really soft and smooth, as well well as looking clear and balanced. I find that it is a really gentle way to mask up, as a lot of purifying masks can be really harsh and drying on the skin. The only downside is that there aren't any instructions on the tube regarding how long to leave the mask on for. I later discovered this can be found on the outer packaging. Although the tins are pretty, I'm sure most people discard the excess packaging. The mask has a (supposedly) green tea scent which I find pleasant and not too strong, but it is the packaging that is the real winner here. The slim black tube not only looks unique but the pump disposal means that not a drop of mask gets wasted. This is especially handy if you are one of those people that uses different masks on different areas of the face. The pump is also much more hygienic than a tub of product. As soon as I saw the word "mattifying", I was sold. The CP510 Purifying Mattifying Cream (£22.50) contains a variety of different ingredients, including Zinc Oxide which acts against redness, soothes and mattifyes the skin. You may have heard of Zinc Oxide as it is the main component of the cult toner, La Roche Posay Serozinc. The Purifying Mattyifying Cream also contains lemon juice, with brightening and astringent properties, turmeric extract which rebalances and acts against excess sebum. and aloe vera extract, amongst other ingredients. This moisturiser manages to be lightweight whilst still providing enough hydration for my oily skin. It applies with a velvety smooth cream texture, and to my surprise left a matte finish behind. This moisturiser could also double up as a really great primer for your makeup. It didn't wear too heavy or greasy throughout the day and I think it is great if you are looking for something that is quite lightweight but still gives a good amount of hydration. The only downside really for me is the scent. I find it much stronger than the scent of the mask, although it isn't something you notice once it is on your face. I have been pretty impressed with both of the products I have tried. 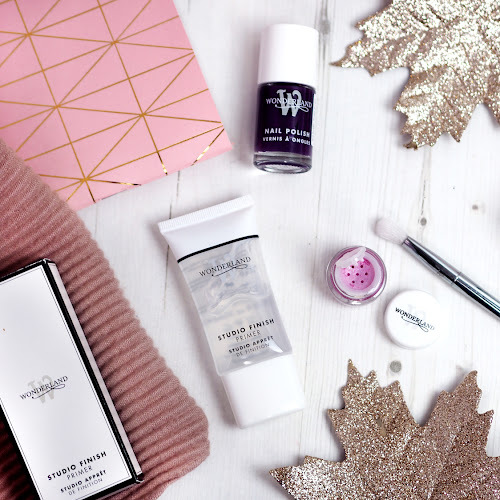 Rêve Hyalu is definitely a skincare brand to watch in the future, and I am excited to see where the UK launch takes them. They have a great core range of products for all skin types and are well worth exploring. If you are a blogger and would like to get your hands on some of the Rêve Hyalu products before the launch, the lovely people at Adishakti Trading have given me permission to share the sign-up form to get your samples! I'm addicted to clay masks. What's your skincare weakness? 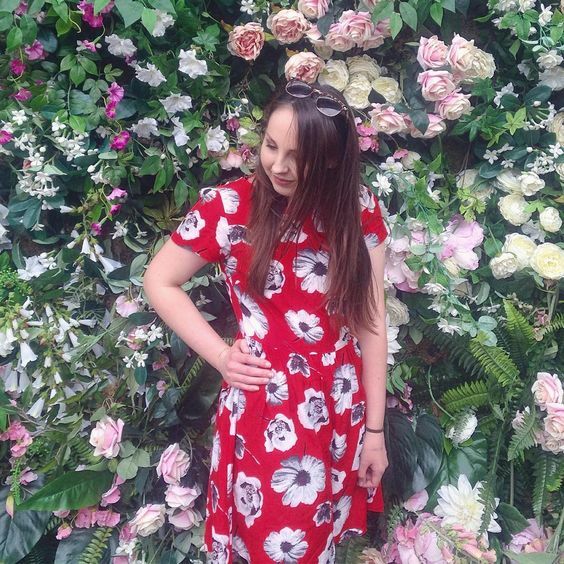 Don't forget to check out Dainty Bride, my September Blogger of the Month! Back in my 23 Before I Turn 23 post, I spoke about wanting to finish a candle before my birthday (6th October FYI). so I've been really trying to burn a little more frequently. This past week has been all about the summery scents as we've had a bit of an Indian Summer situation. 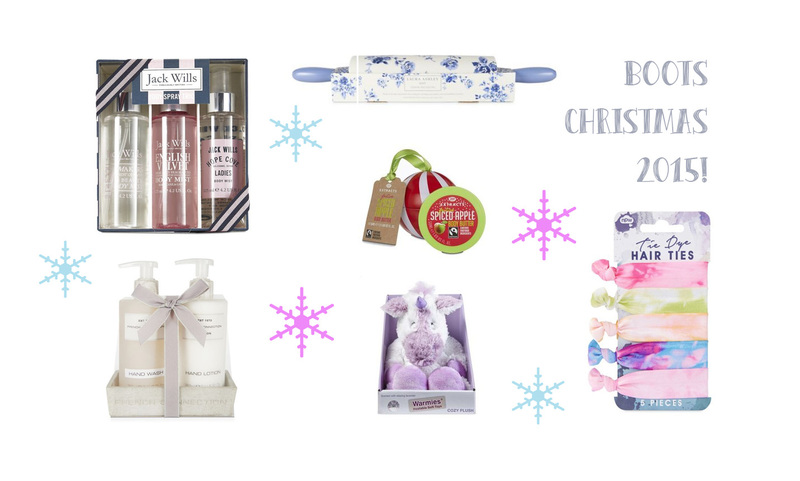 I've whipped the fruity scents back out, along with a few pre-fall favourites too. Today has been such an Indian summer day, and although I thought I'd stashed away the summer scents for good, this fruity number managed to make a surprise appearance. 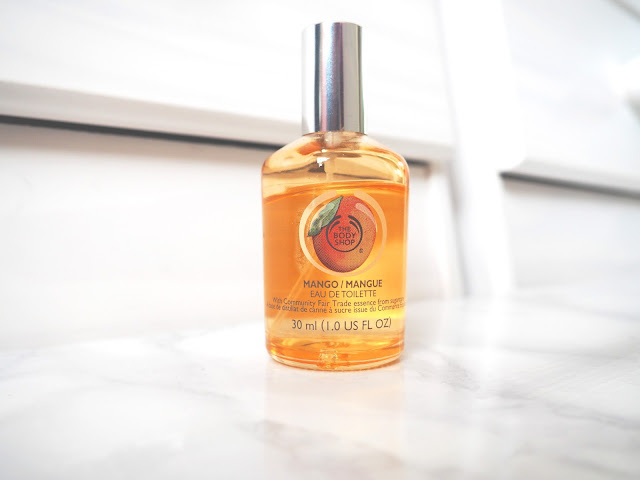 The Body Shop Mango Eau de Toilette is one of their classic scents that has been around for years. It comes in a handbag friendly 30ml glass bottle and is super affordable at just £8.50. This is probably one of the most pure mango scents I have ever tried. If you know the taste of Solero ice lollies, then this is a dead ringer. For that reason it is perfect for the summer. 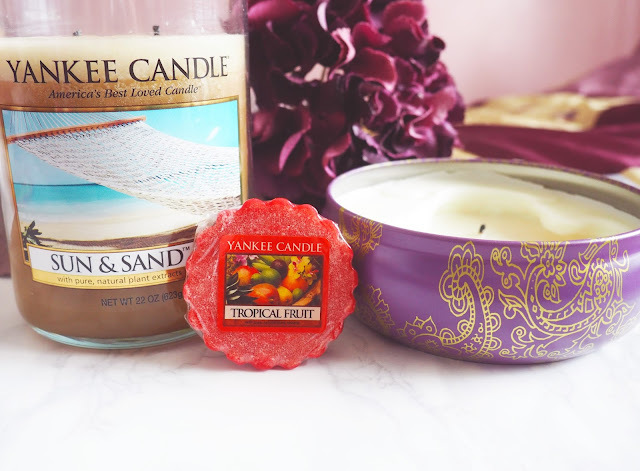 It is beautifully well-rounded, and combines sweet, juicy mangoes with a slightly creamy note, which really softens this into a wearable scent. Despite being so affordable, it definitely doesn't smell like a cheap fruity body spray. I actually really dislike the way a lot of higher-end perfumes use the mango note. In the case of perfumes such as Escada Taj Sunset and Beyonce Heat Rush, mango is paired with deeper notes like amber, sandalwood and musk, which make the mango seem harsh, bitter and cheap smelling. The Body Shop's offering is naturally sweet, delicate and uncomplicated. Its simplicity brings to mind a certain innocence, a time when we didn't have to worry about a thing. It is such a fun fragrance, which is uplifting and comforting all at the same time. This would be a great scent to take on holiday as it would be perfect for days when you don't want anything overpowering. The lasting power of this perfume isn't amazing, but it is only an eau de toilette. It is worth noting that The Body Shop make pretty much every product in the same scent, so you can do fragrance layering like a boss! Try combining the perfume with the shower gel and body butter to really amp up the intensity and longevity. Overall The Body Shop Mango Eau de Toilette is a fruity, simplistic scent, which works really well with the rest of their range. It is a great scent to wear in the summer, or even on cooler days when you are dreaming of sunnier times. If mango isn't your thing, The Body Shop have tons of other scents in the range, including Strawberry, florals Moringa and Honeymania and the more masculine Shea. There really is something for everyone in this range and for £8.50 you really can't fault the price. Have you tried perfume from The Body Shop? Let me know which one is your favourite! 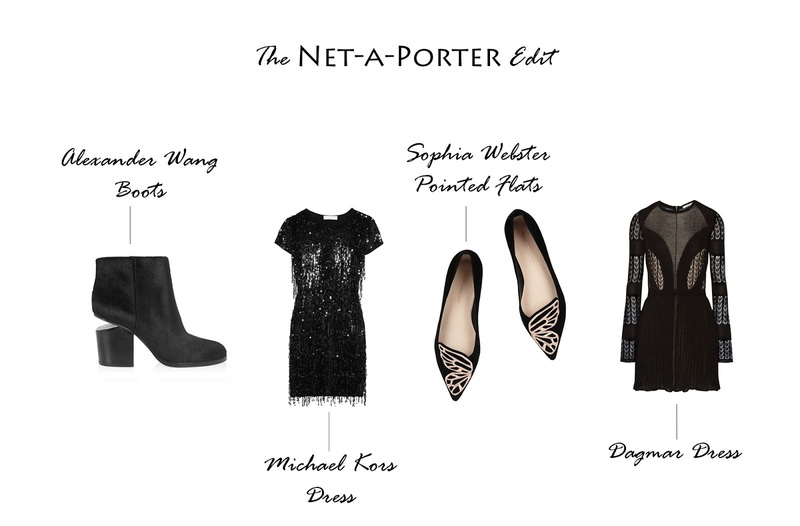 In simple terms, ankle boots with a chunk hacked out of them can never be a good thing. In fact, that's pretty much the state that last year's boots are in. But when Alexander Wang says something's cool? Then boy it's cool. These Gabi Cut-out Calf Hair Anke Boots (£630) are just incredible! The cutaway detailing on the heel really transforms this from being a simple black ankle boot to something subtly spectacular. Plus, you can't deny that these would make a great conversation starter, even with non-fashiony types. If ever there was a dress for party season, this Sequinned Mini Dress (£275) from Michael Michael Kors is it. It is cut with a flattering cap sleeve and has shards of cascading sequins which will dance the night away with you. This beautiful fluidity really creates something special out of what is essentially a t-shirt dress. One could even claim that this is the party dress for the casual girl, and is the perfect update from the tee and leggings combo I'm always too tempted to try and get away with for girls night out. For those times when nothing less than fabulous will do, you won't regret turning to this black sequinned number. There is no one that transforms a shoe into something totally Instagrammable quite like Sophia Webster does. I've definitely seen these Bibi Butterfly Embroidered Suede Point-toe Flats (£240) floating around for a while and quite rightly so. Butterflies are known for being eternally naff, right? Sophia Webster has finally given the pretty creatures the cool-factor they deserve. I'd pair these black suede flats with some skinny-fit ripped vintage-wash jeans to instantly transform an off-duty outfit. Finally I have another dress, and this offering is by Dagmar, a designer that is pretty new to me. I was instantly attracted to the Elisa Open-back Lace and Stretch-knit Mini Dress (£450) due to the structuring and mixture of textures. Although this has a pretty hefty cut-out at the back, it still weighs in as a relatively classy option. The lace-mesh combo keeps it really current, and is a far cry from the horrors of the string vest! If you won the lottery what's the first thing you'd add to your wardrobe? It was only recently that I really discovered the power of serums. I previously thought that they were a replacement for moisturiser, but apparently I was wrong. Earlier on in the year, my obsession really started with the L(A)B Activator Serum* (mentioned here), which is packed with hyaluronic acid. It made my skin soft and plump, and paired perfectly with my moisturiser. There's a new serum on the block, and that is the InstaNatural Age Defying & Skin Clearing Serum*. Housed in a glass dropper bottle, the serum contains quite a cocktail of active ingredients. A concentration of 20% Vitamin C acts to repair and protect, as well as brighten the skin. Working to soothe blemishes are both retinol and salicylic acid. These decongest and unclog pores, and this also minimises the appearance of blackheads. Finally, niacinamide reduces redness and inflammation. The Age Defying & Skin Clearing Serum has a nice consistency, being a lightweight fluid which absorbs easily to the skin. I take a full squirt of the dropper into my palm, rub my hands together and distribute the serum over my face. This action is really refreshing! It makes my skin feel plump and soft and doesn't feel too heavy or greasy for my oily skin. 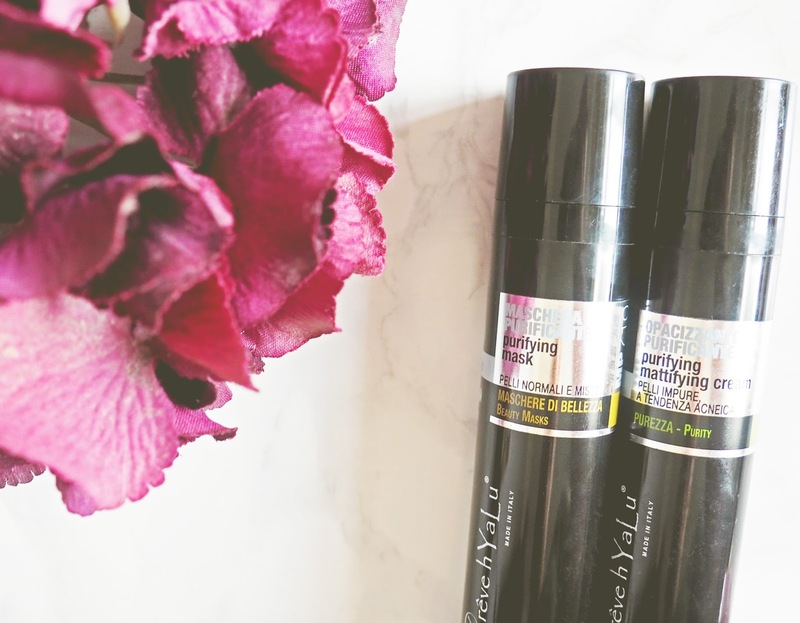 As it is a serum, it works best paired with a moisturiser, and really amps up the effects. I have been following this with my trusty Body Shop Seaweed Mattifying Day Cream and it really works a treat at adding a boost of hydration. Whilst it is too soon to tell of any long-term effects, I don't think that the serum has broken me out. I've had a slight breakout around my chin area, but I think that is down to the fact that I've been wearing a scarf almost 24/7 since we've been plagued with the cooler weather. Despite that, the rest of my skin has been really clear! I feel like my blackheads haven't been as bad since I've started using this product, and my pores aren't as noticable. However this could be down to the fact I've been going makeup-free for work. In terms of the "age defying" effects, I'm 22 so I can't really comment (Mum has been testing out the Vitamin C Serum and LOVES it!). Any lines I have are due to dehydration, although this product covers that base nicely thanks to the hyaluronic acid. 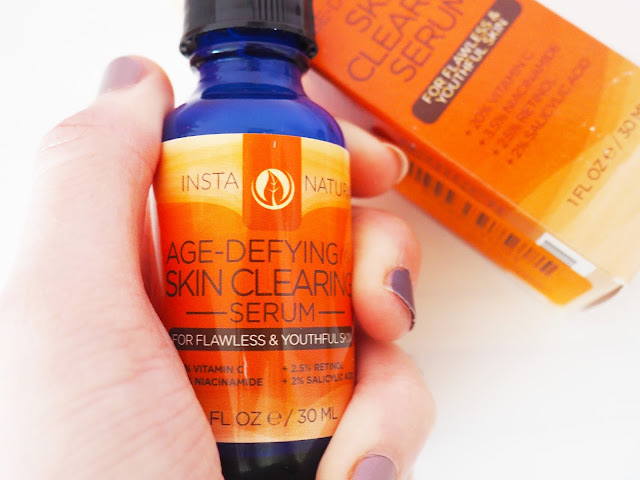 The best bit about the InstaNatural serum? It smells like orange juice! It is fizzy and fruity and really makes you feel uplifted. Although there are times that unscented products are the way to go, most of the time I love my skincare to smell super luxurious. This makes the whole routine a lovely experience, and means you can look forward to caring for your skin. The cruelty-free USA-based brand is currently available to buy from Amazon. The Age-defying & Skin Clearing Serum comes with a hefty RRP of £49,95, however you'll be pleased to know that it is being sold for a more sensible £17.95. I feel like this is what the product is worth, it definitely isn't spectacular enough to be around the £50 mark! Here's hoping that it will be one of those things that is constantly on offer! Overall this is a skincare product that I would recommend, especially if you are looking for a way to boost hydration without weighing down oily skin, and are looking to target breakouts at the same time. What is your favourite serum? Please let me know! Scent in general is one of my passions. Whether it is perfume or candles, if it smells good, I'm obsessed. I do feature candles quite a lot on this blog, but perfume is something that is featured less often. I have so many perfumes and am a tiny bit huge bit obsessed with researching notes of a fragrance on Fragrantica, constantly searching for my next scent purchase, so it only seems right that my favourite scents get their moment too. I try not to do half-arsed reviews, so my aim is to give a comprehensive look at each fragrance, from its notes, to my honest opinions. Despite being one of my favourite things, I'm a picky old soul. I've had many a 'mare when it comes to perfume, from blind-buying fails to my recent onset of migraines. As a rule, I don't tend to like super sweet perfumes, such as the current trend of gourmand orientals, or the heavily fruity celebrity perfumes that are tinged with cloying musk. A think a quest we can all identify with is trying to find that signature scent. When people smell "the one", I want people to say 'Oh that smells like Kirstie'. I'm yet to find my signature, although I've been pretty infatuated with Diptyque Philosykos for the past year. If anything, this new feature will document my fragrance journey and hopefully recommend you a new scent or two. Of course I don't mean to offend anyone, so if you think you write a killer fragrance review, link me up! Have you found your signature scent yet?